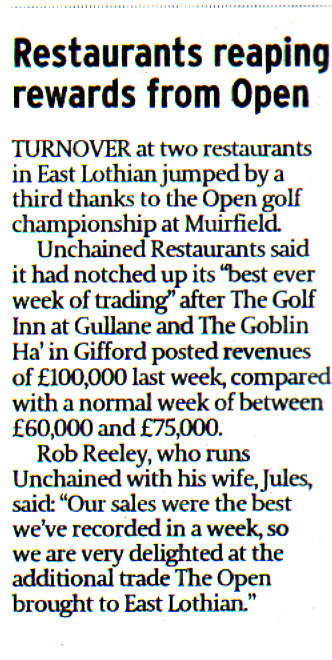 Unchained Restaurants, owners of The Golf Inn at Gullane and The Goblin Ha’ in Gifford, said sales surpassed all expectations to top £100,000- and the story captured the eye of some of the biggest newspapers in Scotland. 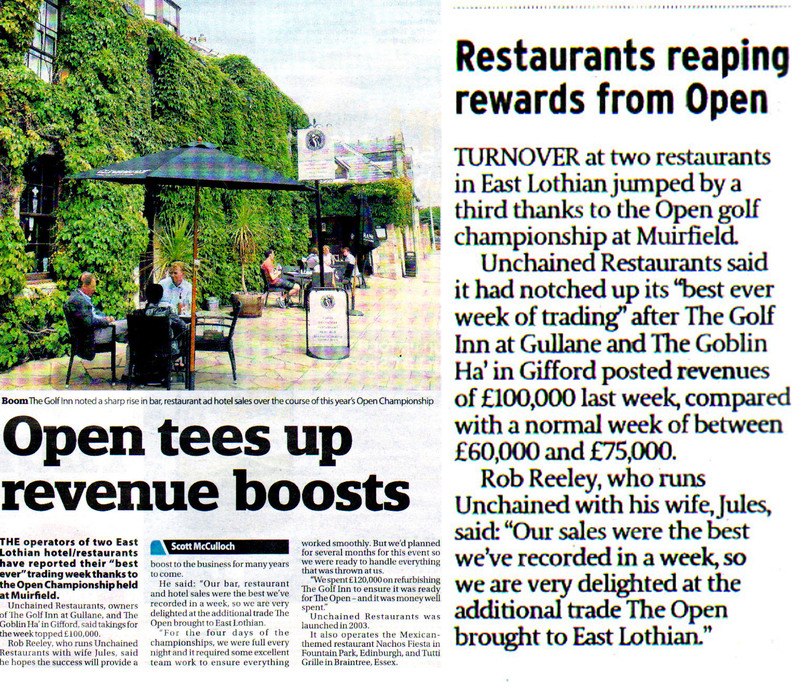 After first appearing in Edinburgh’s local newspaper, the Edinburgh Evening News, the story of how the business has its best ever week of trading was followed up by the Herald, the Scotsman and Edinburgh Now. This array of coverage was achieved for Unchained Restaurants with help from PR experts at Holyrood Partnerhsip, so if your business could benefit from media exposure like this, then get in touch to find out more about how we can help.